First the Swiss banks were accused of hoarding millions of dollars that belonged to Jews who had perished in Nazi extermination camps; the banks agreed to pay, handing more than a billion dollars to heirs of depositors and to humanitarian causes related to the Holocaust. Then German corporations and banks that had profited from slave and forced laborers came under scrutiny; Germany established a foundation with up to five billion dollars to settle all claims. 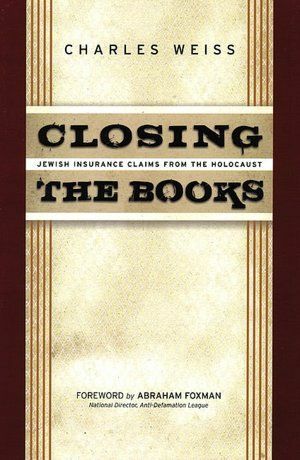 There were also life insurance policies that were never redeemed because the policyholders and beneficiaries vanished; the response was the International Commission on Holocaust Era Insurance Claims—ICHEIC—whose mission was to solicit claims from the public and pay them off. It ended its work in March 2007 and here, Charles Weiss, tells its story.